2846 square feet (264 square meter) (316 square yard) big single floor sloping roof house architecture. 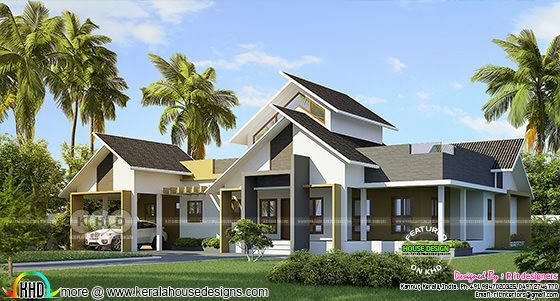 Total estimated cost of this house is ₹60 lakhs (May 30, 2018) Design provided by Rit designers, Kannur, Kerala. 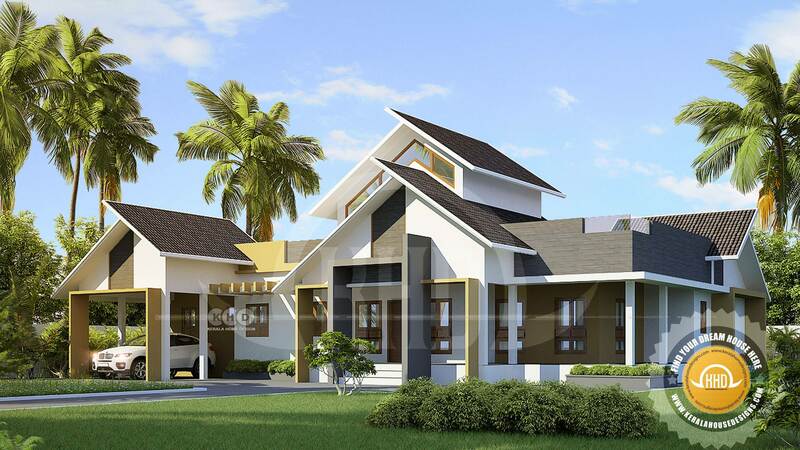 0 comments on "2846 square feet 4 bedroom sloped roof Kerala home"